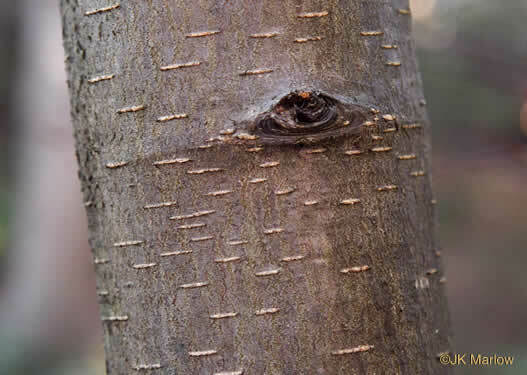 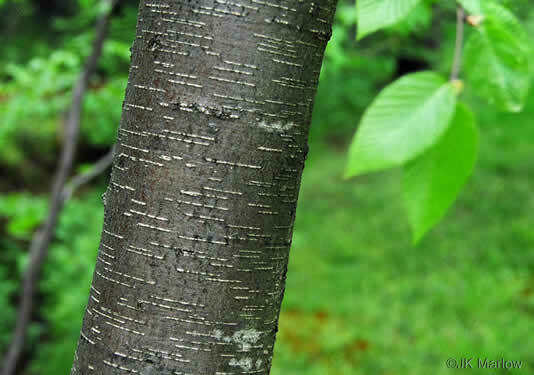 Sweet Birch, Cherry Birch, Black Birch, "Mahogany"
Outer bark resembles Black Cherry; inner bark tastes like wintergreen, per Guide to the Wildflowers of SC. 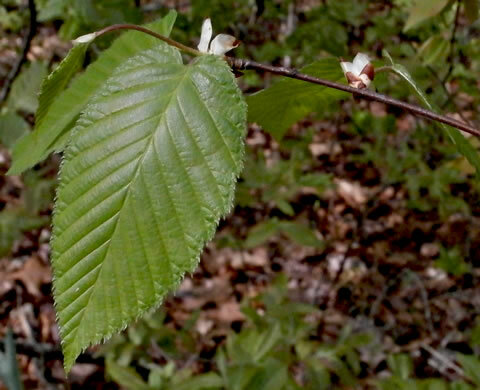 Leaves 2-ranked on short shoots, bases heart-shaped or rounded, per Native Trees of the Southeast, An Identification Guide. 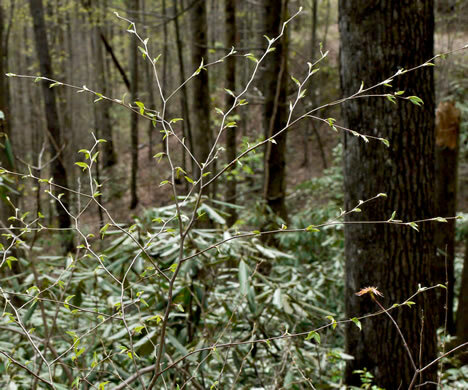 Stipules deciduous, distinct, per Flora of North America. 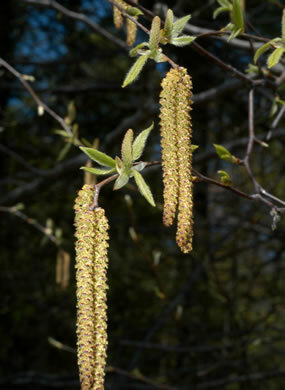 Flowers tiny, staminate in drooping catkins near tip of twigs, per Native Trees of the Southeast, An Identification Guide. 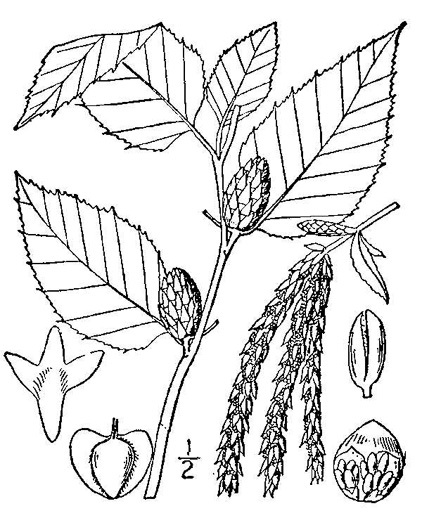 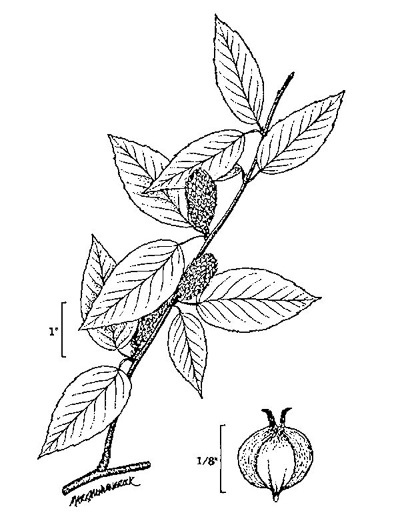 Once the primary source of wintergreen flavoring in medicines and confections, per Weakley's Flora. 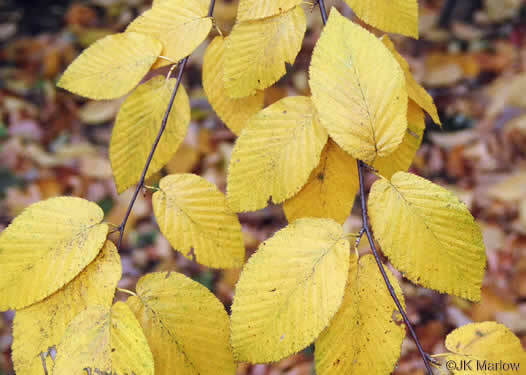 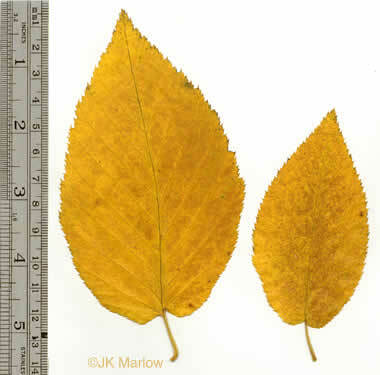 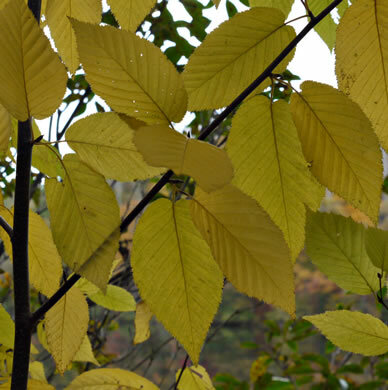 Leaves mostly 2.5-4" long, heart-shaped at base, mostly glabrous, per Woody Plants of the Blue Ridge. 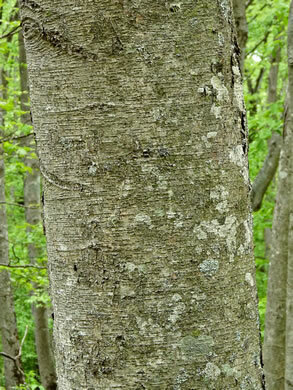 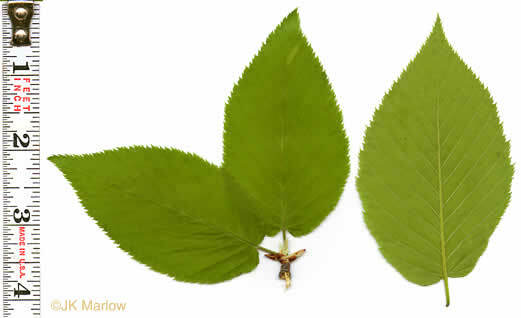 Teeth on Betula's leaf margins more abundant than the main lateral veins, per Trees of the Southeastern United States. 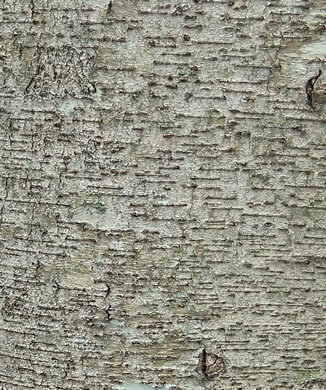 Prominent horizontal lenticels on the bark of young trees, per Native Trees of the Southeast, An Identification Guide. 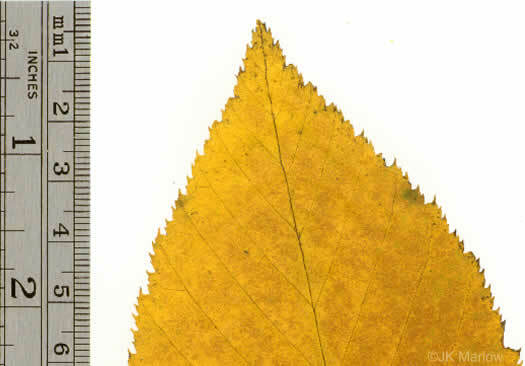 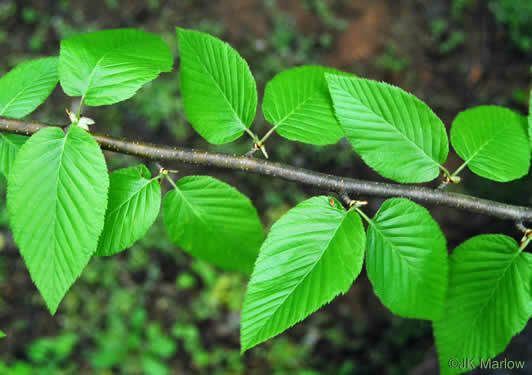 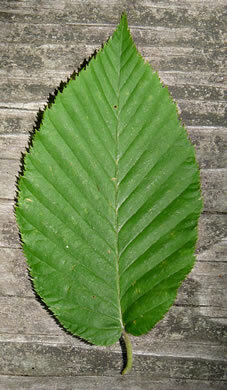 Leaf margins singly or irregularly doubly serrate, per Native Trees of the Southeast, An Identification Guide.